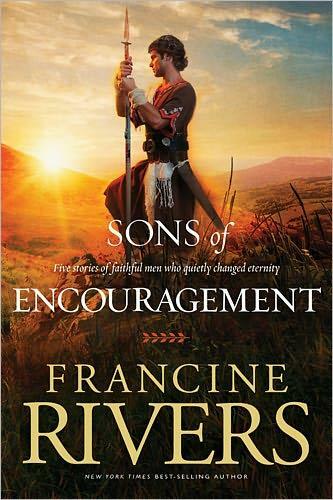 So I’m reading this book by Francine Rivers, called “Sons of Encouragement“. Subtitle: Five men who quietly changed eternity. Its basically about 5 wing men/side kicks, namely Aaron, Caleb, Johnathan, Amos and Silas. Sons of Encouragement shares the stories of five Biblical men who stood behind the heroes of the faith and quietly changed eternity. Aaron, the priest who stood in Moses’ shadow but had the courage to cover his brother’s fears. Caleb, the warrior whose words stirred men’s hearts and brought God’s people to the Promised Land. Jonathan, the prince whose humility led him to befriend the man who would become king in his place. Amos, the prophet who heard when God called and spoke to a nation unwilling to listen. Silas, the scribe who surrendered his wealth to record God’s word, even as those around him were silenced. Each faithfully sought after God in the shadows of His chosen leaders, each answered God’s call to serve without recognition or fame, and each gave everything, knowing his reward might not come until the next life. Ive started reading it a month ago and I’m still on the story of Aaron. I know, I know… But Ive been sooo uber busy right now. Life is getting in the way of life. Anyways, ya’ll, go and get a copy… you wont be disappointed.